Brownstone Square is a Camelback Corridor Phoenix loft condominium located at 3451 E. Lance Lane, Phoenix, AZ, 85018, built in 2007. 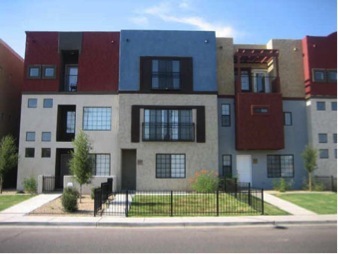 Amenities include: Maple Cabinets, Granite Countertops, Stainless Appliances, Crown Moldings, Porcelain Tile, Gas Fireplaces, Balconies, Community Pool and Spa and Central Courtyard. 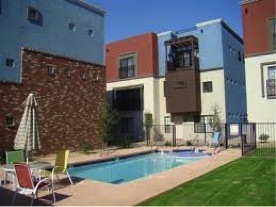 Brownstone Square is just minutes to Biltmore Fashion Park, Sky Harbor Airport, and Downtown Phoenix and Tempe.